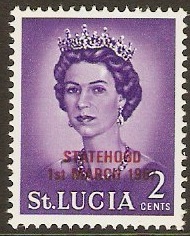 St Lucia 1967 2c Bluish violet - Statehood overprint. SG229. Unmounted mint 1967 2c Bluish violet - Statehood overprint. SG229. 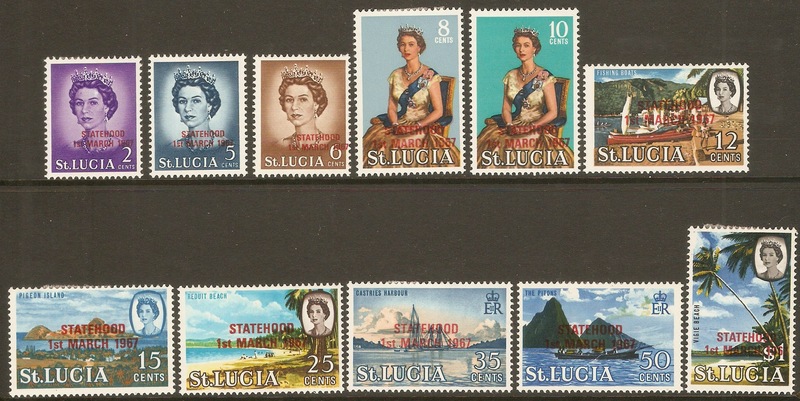 St Lucia 1967 Statehood overprint set. SG229-SG239. 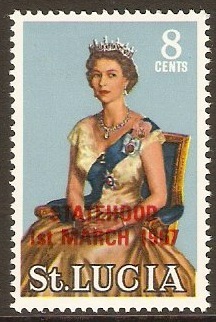 Mounted mint 1967 Statehood overprint set. SG229-SG239. St Lucia 1967 5c Prussian blue - Statehood overprint. SG230. Unmounted mint 1967 5c Prussian blue - Statehood overprint. SG230. 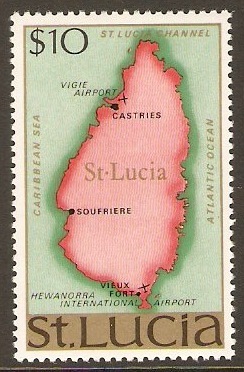 St Lucia 1967 6c Yellow-brown - Statehood overprint. SG231. Unmounted mint 1967 6c Yellow-brown - Statehood overprint. SG231. 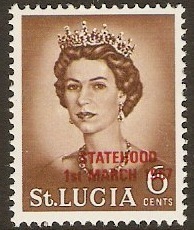 St Lucia 1967 8c Statehood overprint series. SG232. Unmounted mint 1967 8c Statehood overprint series. SG232. 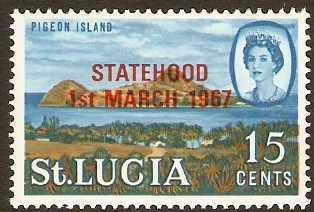 St Lucia 1967 10c Statehood overprint series. SG233. 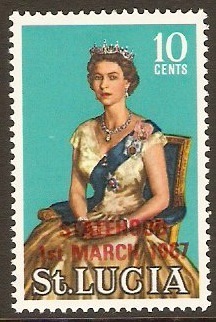 Unmounted mint 1967 10c Statehood overprint series. SG233. 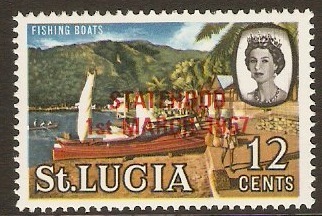 St Lucia 1967 12c Statehood overprint series. SG234. Unmounted mint 1967 12c Statehood overprint series. SG234. 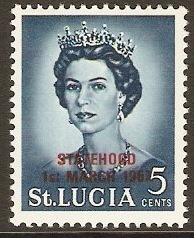 St Lucia 1967 15c Statehood overprint series. SG235. Unmounted mint 1967 15c Statehood overprint series. SG235. 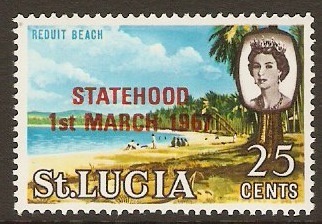 St Lucia 1967 25c Statehood overprint series. SG236. Unmounted mint 1967 25c Statehood overprint series. SG236. 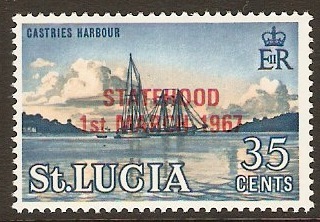 St Lucia 1967 35c Statehood overprint series. SG237. Unmounted mint 1967 35c Statehood overprint series. SG237.